The name of Lentas comes from the word Leontas which means lion in greek. According to the mythology, one of the lions pulling the wagon of Rea (Mother of Zeus,Titan’s daughter of Gaea and Uranus) turned into stone at this position. Though most possibly the name came from a big rock that looks like a lion. According to the latest discoveries, there was a pre-Minoan settlement there, around the age 2500 b.c. to 1900 b.c. that had commercial transactions with Egypt. Around 1500 B.C. the Volcano of Santorini erupted,causing many earthquakes and floods that destroyed many buildings and palaces around Crete. Then the Cretans lost their supremacy to the Phoenians. 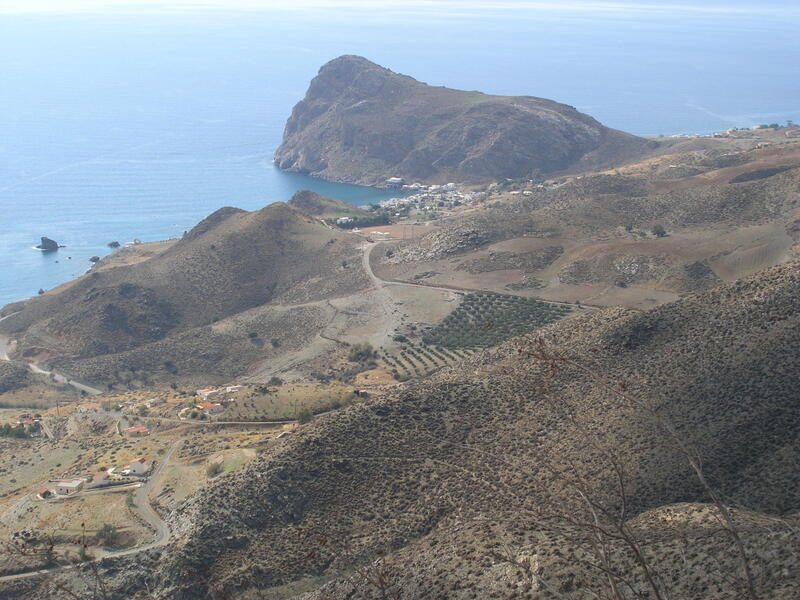 Lentas became famous also outside Crete when the temple of Asclepius was built around 4th Century B.C. It was one of the biggest healing places around Greece following the main central temple of Peloponnese. People from all over Greece and North Africa would visit the place. By the age of 67 B.C. Rome conquered Crete around 4th to 5th Century and Christianity became generally accepted having thus the temple of Asclepius lose its meaning. After that, a lot of conquerors of the island of Crete inhabited the place mostly using it as a harbor. In late 19th Century archaeologists started the first excavations in the place. Now the whole village is protected as an archaeological site, which prevents the building of large hotels, letting thus the beauty of the place almost untouched.